School of Communications coordinator Susan Napoleon with Student Media coordinator Jim Singer, who remarked that the 2015 Operation Food Search drive was the best collection year to date! 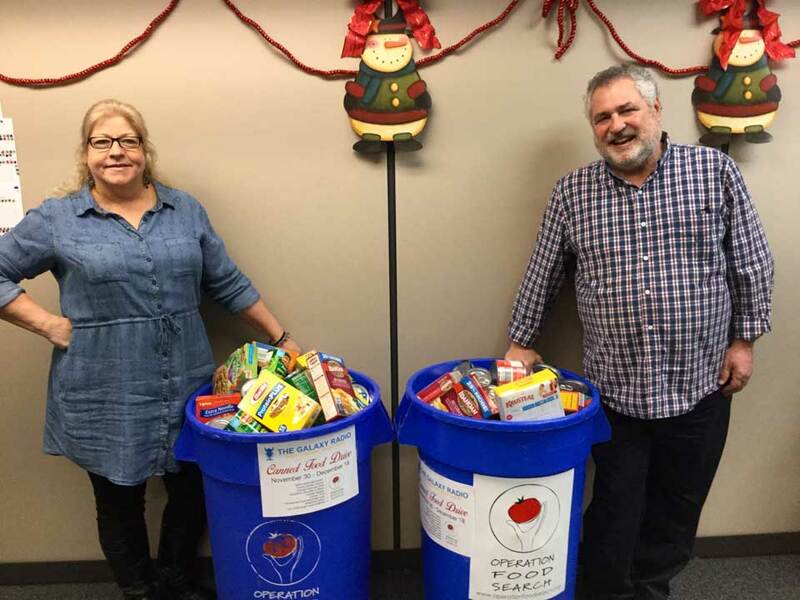 Webster University's Galaxy Radio recently celebrated its ninth year of partnering with Operation Food Search, a St. Louis-based non-profit organization dedicated to ending hunger in the metropolitan area. Student Media coordinator Jim Singer said that with help from Marletto’s employees, Emerson Library, and the School of Communication's administration, faculty and students, this drive was the best ever, collecting more than five huge barrels of nonperishable food items donated to help feed needy families in St. Louis. Operation Food Search representatives thank Webster University and the generosity from everyone involved in this year’s food drive.